A lot of the Bazaar, a good chunk of Shadowbox and a tiny bit of Awful’s and more! On Thursday (Dec. 2nd) local consignment shop/ venue the Bazaar is hosting Charlottesville band Birdlips and Roanoke’s own the Situationist. This show will be awesome so make sure not to miss it! Starting at 8pm and costing you $5 the line-up is well worth it. Check out the above video of Birdlips performing their song “Powerlines” live in San Francisco, CA. 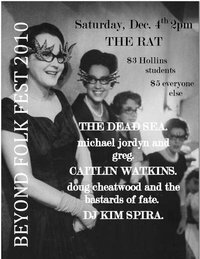 On Saturday (Dec. 4th) Hollins University throws their annual folk fest now titled “Beyond Folkfest 2010”. The festival is in celebration of the end of the semester and will feature several bands from around the country as well as Roanoke. Slotted to play are the Dead Sea, Michael, Jordyn and Greg, Caitlin Watkins, Roanoke’s very own the Bastards of Fate and DJ Kimchi. Beyond Folkfest starts at 2pm and runs til 6pm, a bit shorter than past years with fewer bands but let’s hope they keep up the tradition! $3 for Hollins students and $5 for everyone else. After Beyond Folkfest on Saturday (Dec. 4th) the Bazaar will host Richmond rockers Long Arms with Magic Twig folk group the Missionaries. 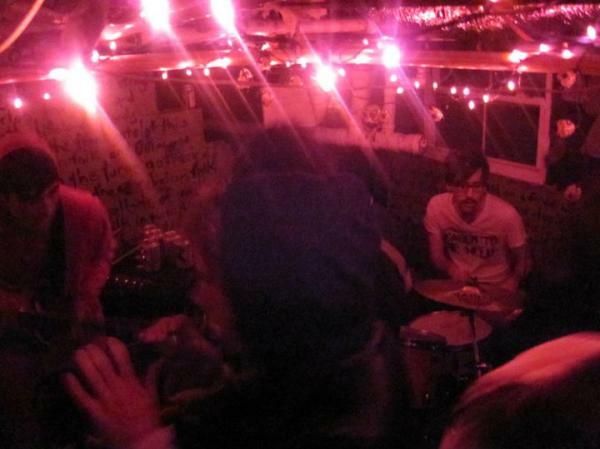 Long Arms features former River City High/Fun Size member James Menefee. This show starts at 9pm and costs $5. Above is a video of the Missionaries performing “Chester Behind the Foliage” live at the Bazaar. Also on Saturday (Dec. 4th) Blacksburg’s XYZ Gallery hosts Blacksburg dream poppers Hoop Dreams. The show is a benefit for the XYZ Gallery with more bands to be announced. This show starts at 7:30pm and runs til 10pm. 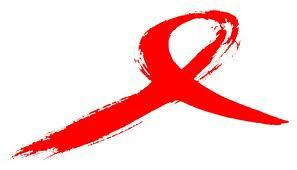 On Monday (Dec. 6th) the Shadowbox microcinema will present five short films exploring the topic of AIDS. Focusing mostly on the lives of gay men dealing with AIDS from many different angles these five films range from satirical to serious. Some films include Lost Cause, RSVP, Deaf Heaven and Relax. These showings are free and start at 7pm with doors opening and refreshments provided at 6:30pm. Donations are appreciated to benefit the Drop In Center. On Wednesday (Dec. 8th) the Bazaar hosts Seattle based World History with Roanoke favorite Another Roadside Attraction. Starting at 8pm and costing $5 this is a show you should check out, what else is happening on a Wednesday night? While you’re there wish Jordan and Lucy from Another Roadside Attraction a happy marriage! Above is a live video of ARA performing “Tragic Demise of a Mariachi” at the Bazaar. On Thursday (Dec. 9th) the Bazaar will have Charlottesville duo Veelee alongside Roanoke Magic Twig duo Eternal Summers. Get out to the Bazaar and check out some of the new songs Eternal Summers have been playing out on the road! This show starts at 8pm and cost $5. Above is a video of Eternal Summers performing “Dye” live in Denton, TX presented by WeDentonDoIt and Weekly Tape Deck. On Friday (Dec. 10th) Roanoke hip hop allstars the Illbotz will be sharing the stage with MC/DJ extraordinaire Joneski at the Village Grill. Starting at 9pm and going til last call Joneski and the Illbotz are going dropping beats and rhymes for your entertainment. Joneski and Stevie D will also be unveiling a few tracks from their side project that night as well! Above is a video of the Illbotz performing live at Underground Melodies. 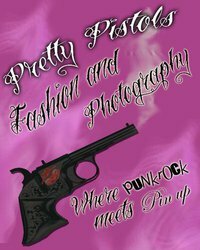 On Saturday (Dec. 11th) local fashion and pin-up photography company the Pretty Pistols is throwing a dance party at the Shadowbox! “Dirty Dozen’s Dance Party & Calendar Release” celebrates the release of the 2011 local pin-up photography calendar. Music will be provided by DJ trio DANGER FANGS! (Turbo P, DJ Felix Leiter and DJ Shady Hawkins). Be sure to bring canned food and donations for Toy for Tots for a chance to win a raffle prize. There will be a sneak peak of the Bang Bang Burlesque Troop and the new 2011 calendar will be specially priced for $15 for event night only. Starting at 7:30pm and running til after midnight this event will cost $7 at the door. Also on Saturday (Dec. 11th) Blues BBQ Co. Downtown is putting on a free show for those who are 21 and up! Two great local bands the Circus Practice and Another Roadside Attraction will be playing from 9:30pm til 1am for your entertainment! So make sure to get there on time and don’t miss out on two of the most fun bands to watch in our area. Check out the above video of the Circus Practice playing live at Grandin Gardens. Also on Saturday the 11th Roanoke allstars Grass Monkey play Awful Arthur’s Downtown. Starting at 10pm and going late the boys will be running through a set full of new songs, reworkings of old ones and a tighter set all around. Head downtown, grab a drink and have listen! On Sunday (Dec. 12th) the Shadowbox is showing Christmas classic Rudolph the Red Nosed Reindeer. The children’s favorite narrated by legend Burl Ives will show at 2pm. Bring the kids! Above is a classic TV spot for the special. And finally to round up our list of happenings is the Shadowbox’s presentation of I’m Still Here. Starring the on edge Joaquin Phoenix and directed by Casey Affleck this “documentary” explores the actor’s career change into rap. Everyone is curious about this film so fill that curiosity and go see it on Monday the 13th at 7pm.